You spend roughly one third of your life asleep, but you’re wasting it by passively dreaming. Don’t dismiss this as nonsense – the ability to control your dreams is a scientifically proven fact. It’s just really, really difficult. It’s called lucid dreaming, and you too could learn to do it. For me, as a technology enthusiast, lucid dreaming and virtual reality Oculus Rift Development Kit Review and Giveaway Oculus Rift Development Kit Review and Giveaway The Oculus Rift has finally arrived, and is making heads turn (literally) all over the gaming community. No longer are we confined to to peering through a flat window into the gaming worlds we love... Read More are inextricably linked. The holy grail VR experience is often imagined to be the Holodeck, a completely customizable realistic environment that responds to your every wish. That’s exactly what lucid dreaming can be. Sadly, getting into the lucid dream state is near impossible for most people – that’s where this Lucid Academy course can help. Does it work? Read on to find out, and then enter our competition to secure your place on the course! If aren’t one of the 10 lucky winners, you can sign up to this great lucid dreaming course for the very affordable price of $77. Less than $80 to change your life forever represents pretty good value for money, I’d say. What Is Lucid Dreaming and Why Should I Care? Lucid dreaming is the act of becoming aware you are dreaming: waking up within a dream. It’s the sudden realization of “hang on, this is a dream!”, and the overwhelming sense of freedom that follows. Varying degrees of lucidity are possible and not everyone chooses to completely repaint the dream canvas, but broadly speaking, lucid dreaming gives you full control of your dream – the ability to fly, conjure up new characters, dismiss monsters – do absolutely anything your heart desires. For many, lucid dreaming is a way to overcome fears and conquer nightmares, or explore their sexuality. First – can you tell us a bit about yourself – your credentials, if you will? I’ve been lucid dreaming for 20 years now, and have been teaching people to lucid dream for the past eight. I’ve taught students from all around the world and from all walks of life. I studied Cognitive Science at University of California, Berkeley and during that time I went deep into the academic study of lucid dreaming. After graduating from UC Berkeley I’ve traveled to eight different countries over the past years on a personal quest to unravel the wonderful mystery of lucid dreaming and human consciousness. I’ve learned from many different traditions and masters of lucid dreaming, including Tibetan Buddhist lamas, South American shamans, and Indian yogis. I’m a full time practitioner of meditation, lucid dreaming, and esoteric yoga. I use every avenue available to explore the mystery of lucid dreaming. I currently spend my time in between India and Thailand where I continually seek out the wisdom from masters of esoteric yoga and spirituality. What do you think makes the course different to say, a book on the subject by Stephen LaBerge? One of the biggest problems I found with the available information out there was that people would just get overwhelmed by it. Too many techniques, too many opinions, too many words. Book knowledge is great, but I found a lack of in-depth training on specific techniques and methods that were proven to work. I learned the biggest obstacles that people experienced in their lucid dreaming journeys and developed training to overcome them. It’s meant to be a practical course. Most people will read a book, get some knowledge, and be satisfied. That’s not what this course is about. It’s an action-oriented course. The course is interactive with quizzes, gamification, and checklists with affirmations in each module. The animated videos enable complex concepts to be explained simply, and to be retained in a much better way. This course is the distilled essence of my experience and knowledge from the fields of: academic lucid dreaming research, the science of productivity, tibetan dream yoga, meditation, yoga nidra, esoteric yoga, cognitive science, and psychology. I also want to say that I am supremely thankful for Stephen LaBerge and his pioneering of the Western research into lucid dreaming. For that I will always admire him. His book is wonderful. As the world of lucid dreaming evolves, I wanted to create something that keeps pace with the evolution, and truly leverages the wonderful medium of the internet to reach people all over the world. The video narration is serene and relaxing: set in the grounds of a Thai temple, Sean’s soothing voice combined with the natural wildlife and occasional gong really put you in the perfect mood for lucid dreaming exploration. I’ve been following the course just before sleeping – the ideal time to let the messages sink in, and the videos were so peaceful that my wife fell asleep undisturbed beside me. The video content is illustrated to re-enforce the narration, rather than distract you with meaningless stock footage or a webcam. Suffice to say, they look and sound superb. Sean is indeed an expert in the topic, and his videos reflect that. It’s not a textbook that outlines every bit of knowledge on lucid dreaming ever: it’s a practical course that distills everything into highly actionable points, combined with the theory of why it works. Each item is accompanied by affirmations and there are some short quizzes thrown in too. The only disappointing aspect for me was the gamification: the ease of attaining a “genius” badge after answering a few simple questions, for instance. It’s certainly something that needs to be tweaked, but doesn’t detract from the main content – and from personal experience, I know how hard gamification can be to get right! There’s a good number of extra resources provided in the course too, from printable affirmations to a calendar. It could benefit from a central resource page to download these from though, as well as being scattered throughout lessons where they are currently. Other than that, the video modules follow a logical progression and the site is easy to navigate. The first half of the course consists of short 1-3 minute videos, while later modules can reach 10 minutes or more. For a spiritual skeptic like myself, the course can at times it can feel a little hippy-esque – but not so condescendingly to put off the average Joe. Some of the exercises will also seem quite silly, but it’s important to follow them all. Yes, there’ll be some odd questions to answer when friends discover “Am I dreaming?” reality tests pasted around the house, but it’s important you learn to question reality constantly. Remember: when dealing with the inner workings of the human mind, nothing is weird, and your own personal intent and belief is paramount for success. Will I lucid dream after following the course? 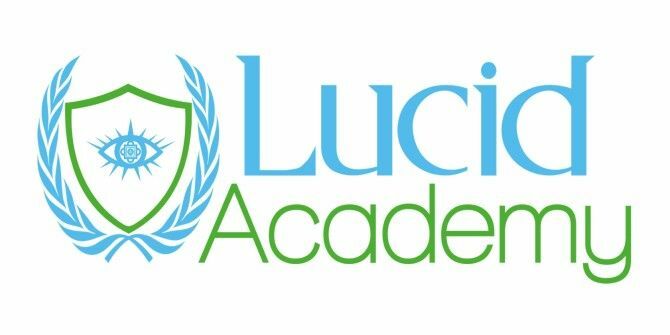 Ultimately, the Lucid Academy video course is a fantastic value for money guide on precisely how to start lucid dreaming. No one can actually guarantee you will have a lucid dream, but the guided videos will equip you with the tools required, so there’s no reason you shouldn’t. All that’s left is for you to follow some clearly outlined, easy steps. That’s what makes this course unique – I didn’t feel overwhelmed with differing techniques to try that I’d never remember by tomorrow. I found simple, easy to follow actions that I’m able to stick to. Have I had a lucid dream since starting the course? I’m delighted to report – yes. The first in a long time, since my teenage years – and like most who experience a lucid dream, I woke feeling refreshed with a sense of joy and accomplishment that carries into everyday life for a long time after. I’ve increased my dream recall, write down at least one dream in the morning, and have been consistently doing reality checks every day. I’m not able to induce a lucid dream on demand, but it’s great start. The course works, and that’s what matters. Should you pay for it? Absolutely. I’m not exaggerating when I say it will change your life if you’ve never experience a lucid dream before. How do I win access to the Lucid Academy Course? Congratulations! If you were selected as a winner, you would have received an email from jackson@makeuseof.com. If you require any assistance, please get in touch with Jackson Chung before March 16. Enquires beyond this date will not be entertained. ago, a full thyroid removal and junk medicine which I replaced with natural medicine. have never felt at a normal rate. always in hypothyroidism. Every time I am about to get there, I wake up. UGH! I need help. What happens exactly? The more detail you give the better I can guide you. I'll use one in particular that was very cool. I was 'flying' under water. The closer to the bottom I got, the better I could breathe. I remember that I was looking for something and thought, hey, although this is really cool, I'm breathing under water. This is a dream. Boom. Woke up. That is a lucid dream. You got there! Now it's just a matter of extending the dream. It's normal in the beginning for lucid dreams to be short and to wake up quickly. The first thing you should do upon realizing you are dreaming is to calm down. Ground yourself in the dream. Also, if you find yourself waking up and it is fast like "boom" then don't give up. Keep your mind blank during the process of waking up. Don't engage in waking life and don't let your thoughts start to run. If you do this you can slip right back into the dream, often lucid. I've realized I was dreaming but I wasn't able to change it. Not that I am aware of but many dreams of flying. I don't know, but i'd like to try it. For about a second or two. I sometimes have lucid dreams, but not near enough imo :). It's easiest for me to reach the stage if I go back to sleep after waking up. I assume it's because it's easier to be in between being awake and deep sleep. I lucid dream only occasionally, but they are most common when I am overly hot or in a fever. The latest was almost a review of a series of dreams I had dreamt earlier in the night. They melded together to create a sphere of confliction, like one of these comic-book fights that look like a dust ball with fists and feet flying out the sides. I looked upon this floating morass, and knew the paths each would travel, should I pick one in particular. Before I could choose, I awoke. Another time, I floated above a landscape unlike any on this planet, populated by a people not quite, or more than, human. In a previous sleep I had been a participant in the events below, but now I soared over were I had fought, and run, and been wounded. I ventured farther than I had as a person, seeing sights and reaching wilderness I would have had to journey far to see. Unfortunately, after those two visits to that world, I have never consciously returned - I usually remember my dreams. Only once before and it was awesome. Would love to do it again. Yes, I've frequently done it. My favorite is flying around like Neo in The Matrix. Yeah , but it freaked me out. What was scary about the experience? Not really scary but freaky because I don't understand the dream. Like, I know I am dreaming and I should be able to control it but at the same time I feel like I have no control. For example when I realize I dream the first thing I usually want to do is fly. I will fly but then always come back crashing down. Isn't a lucid dream suppose to be completely controllable? Freaks me out when I think about it because if I'm not in control then who is. Not sure, I think I was dreaming while I was dreaming, but then again, how can one be sure? Tell us a bit more about your experience. While you were inside the dream, did you go: "Wow. I'm dreaming!" and then move around with freedom inside your dream environment? In a way. One time, my wife said I was sleep walking the night before. Yet I remember dreaming and moving around in the dream, like I was taking a trip somewhere. I know the events are related, and it's not the only time it's happened. I believe so, while meditating, about birds and it sounds silly but it was quite wonderful. I've had a couple of lucid dreams, but I always wake myself up when I realize that I'm in the driver's seat. Once when I was an adolescent. I've never had a lucid dream, but I want to! unsure difference between vivid dream and lucid dream. A vivid dream is a dream that is like super HD. Everything crackles with a certain intensity. These type of dreams are usually remembered more frequently because they create a stronger impression inside of you. In a lucid dream, you realize you are dreaming while you are inside the dream. In a lucid dream the dream can be really intensely alive in which case you could say you are having a vivid lucid dream. Or a really lucid dream. In a vivid dream you won't always realize it is a dream. Although I would say you have more of a chance of recognizing it, just because of the sheer intensity of it. A great example is with nightmares. They are usually very vivid and intense. This intensity of energy can somehow trigger lucidity. But since the energy is so intense, the lucid dreams usually only last a short time, since the dreamer can't stabilize the dream environment. The training, focus and energy one puts in to achieve lucid dreaming would make it very likely to dream that one had one. Sean, I posted this way up in the list where you responded to me but in case you are only following the newest posts I'm gonna repeat it. Thanks, Sean, but I'm not sure you got my drift. Suppose I have a normal dream wherein the content is that I'm having a lucid dream. In that case the control itself would be as illusory as all dream contents. I would remember the control that I dreamed I had but the control itself would be as random as dreams are. Subjectively I don't think I could tell the difference which leads me to wonder if there is one and if there might be any way to detect it if there is. I've had many dreams where I've talked about dreaming, consciousness, done meditations, etc. and not all of them became lucid dreams. I've had dreams where I've talked about lucid dreaming, without it triggering a lucid dream. But I can't say I've had a dream where "the content is that I'm having a lucid dream." Is this a direct experience of yours? If so I'd really love to hear more about it. I've definitely had odd, vivid dreams, but I don't know that they were lucid ones. I have had some unforgettable vivid dreams, just not sure they were lucid dreams. The way to tell if it is a lucid dream is if you realized you were dreaming while you were still in the dream. If this realization isn't present, then it wouldn't usually be considered a lucid dream, no matter how vivid it becomes. I think so but would like to win this so that I can have the skills required to do it successfully and frequently. Sometimes I have very lucid dreams, without writing things down and can remember them completely. Other times if I don't right things down, they are gone within a few minutes. Definitely need to learn the techniques and do it consistently! "Definitely need to learn the techniques and do it consistently!" I can't tell you how much I love to hear someone say a sentence like this. It truly warms my heart. I had a short period of about two weeks when I had lucid dreams about every night. I had just started taking a sleep medication, so it must have been a side effect. It was pretty awesome, though. What was the medication you were taking? I've had lucid dreams. I've also learned to look at my hands-when your dreaming, they usually won't look right. I used this technique often after reading all of Carlos Castaneda's books. It worked really well. One of the reasons it works well is that we are so used to having a body in waking life, that we can always produce our hands in a dream, even though we don't really have a body there. It capitalizes on our natural conditioning from the waking state. In the course I teach a different technique, one I've found to be more effective and concrete. Can't leave any doubt when you check. What did you try? Nowadays there is so much random info out on the internet about lucid dreaming techniques, that it can be overwhelming. Or worse, if you try some approach that someone just throws out there after having a couple lucid dreams you might end up thinking you aren't good at it. With the right approach, right techniques, and right mindset you might find it comes much easier for you. When I was a kid I had many lucid dreams, its like I could do it every night, but it suddenly stopped. I could control every aspect of my dream and I really liked to fly in my dreams (like Superman) because I had a fear of heights and it was a weird sensation to fly and look down. It was like a kind of therapy. Recently I had one more but in the middle of the dream it became a regular dream again. I'm curious, did they stop when you went through puberty? Or do you remember when or how they stopped? don't remember any but may be. The wonderful thing about lucid dreaming is that EVERYONE is capable of doing it. You just need the right techniques, approach and guidance. I was able to do this as a kid, and would love to do it again. When I was a child, I remember consciously repeating dreams that I liked. But I really don't think I've done that for a long while. I'm here to help everyone and anyone who expresses a sincere desire to learn to lucid dream. I can have repetitive dreams but I can never control them. If there's a way to really get into lucid dreams, it should be fun. Had a few lucid dreams. Literally re-shaped terrain around me to what I wanted. I can't command it at will though :( Very, very rare. If things like this occur it's a good thing to simply witness the sensations you are having. When you transition in between dreams very intense things can happen, but they are all phenomena that can be witnessed without placing a positive or negative label on them. Absolutely and a couple reoccurring dreams. I may have had a lucid dream sometime in my childhood days... its a great feeling! It's funny you say this, because one of the most common questions people have about lucid dreaming is, "Won't you be tired?" But most wake up feeling very refreshed and even energized. I am not sure but I wanna try now sooo bad. Good luck all. With a desire like that, all you need is proper guidance and you'll definitely experience wonderful lucid dreams. Keep up that desire and turn it into something that can really last. For many years I had lucid dreams. In fact they were so overwhelmingly real-like that I had serious trouble knowing the truth from fiction. But for the past 30-years I don't think I have had them anymore. And I miss them. If you've had them before, the tracks have some grooving. I bet you would take to it well if you put forth a nice effort and intention. Lucid dreaming is an interesting phenomenon but the great thing about dreams is that they're out of your control and take you to places that are beyond conscious imagination. To each his own! I've never had a lucid dream but my friend has them all the time. I wish I could... :(. Hopefully I'll be able to! Depends on what you mean by scientific. If we hook you up to an EEG while you have a normal dream and then a lucid dream, there will be differences in brainwaves and different parts of the brain will become active. In a lucid dream, your critical awareness realizes that you are dreaming while you are still in the dream. From there you may go ahead and control the dream, or you may let it play out and simply witness it happening. If you are controlling a dream, but don't realize you are dreaming with your more logical mind, I would say it's not a fully lucid dream. However, there is a level of lucidity there since a part of you is controlling the dream, which is something that can't be done here in the waking state. Yes, I'm keeping a dream journal as well, so this is an awesome giveaway :) Cant wait ! Btw, to those that think they haven't had a lucid dream, they should at least think of their dreams after waking up, eventually you will be able to remember lucid dreams, and to wake up in a dream! Good luck! Awesome that you are keeping a dream journal already. What prompted you to do so? I had a lucid dream when I was about (10) years old. An absolutely mind blowing experience the first time. I can say that it continues to be mind-blowing. Just when you think you've experienced it all, deeper and deeper aspects are revealed. Have you had a desire to learn since that wonderful experience as a 10 year old? This reply is for those who have never had a lucid dream, as rather obviously, Sean has done so. While I was in a dream, nothing odd or out of place about it; suddenly I was in control of everything and everyone in the dream. It was amazing! Instantly, I decided how I, and all the others acted and reacted to each other; what was said (and the reason for saying it), the environment, the colors, the cooperation concerning what they all did (she would not have been particularly happy about that - Doh!). Absolutely, up to that point, the most amazing experience of my life. I used to also be able to see a future conversation in my mind between myself and someone else (including the exact words and attitude), and regular as rain, it would happen within a month or so. Lucid dreaming is much more exciting than that. If this interests you, you should absolutely get the program; you'll love it. P.S. - Sean, if you have an affiliate program, I think you'd better sign me up after this. Truly incredible what can be experienced when you dive deeply into these realms. Wonderful to hear about your experience Kevin, thanks for sharing with everyone :). I've had a few lucid dreams. They haven't been to common recently though. What's been your biggest challenge in making them more common? Never did. But I've heard so much about it that I always wanted to try. But from what I've been told, it can be scary at times. So one must do it with caution. Too many people tell silly stories and scare others unnecessarily. Everything you experience is your own self when you lucid dream. You will have incredible experiences, and it's natural for fear arise anytime you do something new and exciting. But there is really nothing to be afraid of. Don't let that hold you back! That's awesome. Consistency is so important when learning. What's your schedule? Before I go to sleep I enjoy some green and buchu tea together. I always lay in the same position when I go to sleep and visualize myself having a lucid dream. Interesting. Do you feel the tea has a significant part in triggering the lucid dreams? Honestly I don't know but the first time I took it I had an insanely lucid dream. I got a bit carried away and woke up. I tried a night with and without it and the Buchu tea and got far better results with the tea. It might all be in the mind but thats what matters in the end isn't it? lmao @ the article and its publisher....selling dreams online must be new gig to you guys...now I'm gonna go and have a very good lucid dream! sadly i haven't ever had a lucid dream,but i am so gonna! That' the spirit! Keep that enthusiasm up because it is soo worth it. I have. Is a full course really necessary though? Probably have, actually. I can sometimes control little elements in my dreams, so possibly. I had a lucid dream once a long time ago... and eager to experience it again. Take that eagerness and translate it into a sustained intention. You'll definitely experience it. Never tried Lucid Dreaming but would be interested in giving it a try. Yes , I have had them occasionally. Where is this giveaway you speak of? At the end of the article. You'll need to disable Adblock, NoScript, and Ghostery if you're running any of them in your browser. A lot of times when I wake up, I can recall what I've dreamed but soon I forgot. Is it lucid dreaming? This is actually called "dream recall." It means you can remember your dreams and is the foundation for the ability to lucid dream. Lucid dreaming is realizing you are dreaming, while you are still in the dream. But since you can remember your dreams, you are on your way to lucid dreaming. This course is a wonderful way to build on that success. I learned about lucid dreaming in wikibooks ( http://en.wikibooks.org/wiki/Lucid_Dreaming ). I started writing my dreams so I could remember them with more frequency and then tried a couple times the technique called Wake-Initiated Lucid Dream without luck. Your story is a very normal one. One of the big keys is to really sustain your enthusiasm for lucid dreaming, and make sure not to give up. Don't listen to the mind when it says "you won't get it" "it's taking too long" and all that rubbish. So many people stop right before they would have broken through. I've actually never had a lucid dream, even though I've heard that most people have at this point in life. It's altogether disappointing. It's possible you've had one, just don't remember it. Do you normally remember your dreams every night? There definitely is a tendency to forget lucid dreams we've had as children, so it is possible you've had one. Honestly I would steer your focus away from comparing to others, because it can often be disappointing. If you are willing to put an intention into lucid dreaming and truly follow through with it, you will have success. No, I've never had a lucid dream. I guess the question is: would you like to?